I’ve always wanted to have very thick, full, and long hair. It seems some are just lucky and have it naturally, but for me, I do quite a few things to make my hair thicker and longer. 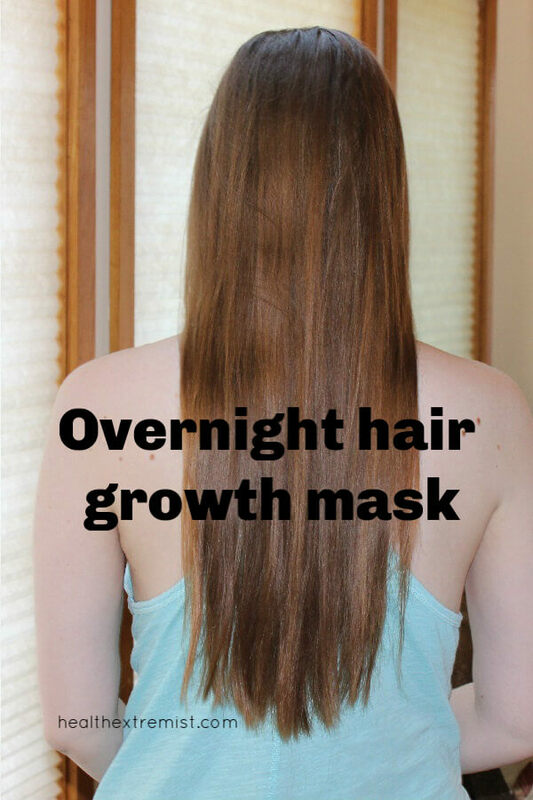 This overnight hair growth mask is definitely one of my “go to” ways to increase hair growth! 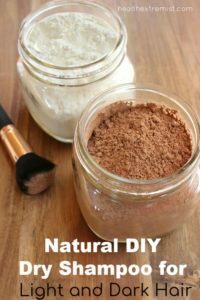 This hair growth mask is easy to make and very inexpensive too! 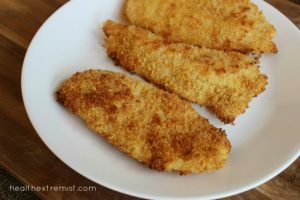 You only need 3 ingredients. It is very effective at boosting hair growth. Many say that they see results with improved hair growth in less than 3 months of using the ingredients regularly! Not only, is this hair growth mask great for growing thicker and longer hair, it also helps moisturize hair, reduce frizz and leave your hair shiny and soft. You will see great results after using the hair growth mask consistently after a week and full results after using it for 3 months. The main ingredients in this overnight hair growth mask are eggs, olive oil and coconut oil. The combination of these 3 ingredients gives you benefits from each as they are absorbed into your scalp to boost hair growth. Some use only egg whites and some use the whole egg. After much research, using the whole egg has more benefits as the yolk contains many nutrients that can improve hair growth in addition to the contents of the egg white. The olive oil and coconut oil are moisturizing and contain vital nutrients including mono-unsaturated fatty acids which help stop hair loss and prevent hair breakage. These two oils have also been found to increase the thickness of hair. If you’re looking to increase hair growth, make your hair longer or thicker, this overnight hair growth mask is definitely for you! Applying it several times a week will help your hair grow faster and thicker. Just make sure you’re pretty consistent with using it to get the best results. 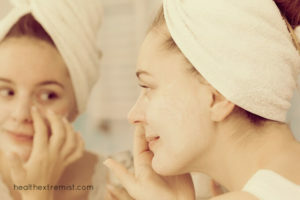 How Long Will it Take to See Results from the Hair Mask? If you apply the hair mask regularly at least several times a week, you can expect to see results in a month to three months. For me, it took about 2 months to notice a change in hair growth. 1. Before applying the overnight hair growth mask, use your fingers to massage scalp for 5 minutes. This increases circulation to the area and boosts blood flow to help encourage hair growth. 2. Mix all the ingredients together in a bowl and stir well. 3. Use your fingers to apply the mixture all over your scalp. Massage it into your scalp to ensure it is fully absorbed. 4. Leave on for several hours or preferably, overnight. 5. When you wake up, shampoo out the mask. I use castile soap as shampoo which is all natural and does not contain any ingredients that can cause hair loss or hair breakage. How Often Should You Apply the Overnight Hair Growth Mask? Apply the hair mask 2 to 3 times a week to get the most benefits. On the other nights, I use a combination of these hair growth strategies. Here’s my before and after pictures. My hair is noticeably thicker and the thinning section near the back of my head has improved. Now, I have to be honest, my before picture was taken just over a year ago and I have tried other remedies in the mean time. I included links to those at the bottom of this post. I also gained weight and have been taking prenatal vitamins too. I have been very consistent with using this mask though, so I do feel it contributed the most to my good results. My hair is also shinier and less frizzy. I also got rid of my bouts of dandruff from using it as well. There are many other great natural and effective ways to increase hair growth. I wrote a post about a study that found how applying onion juice to your scalp significantly increases hair growth. Many have commented on the post over the past few years that the onion juice really does work and made a difference for them! Just from the above commenter will look into ordering a Dr. Axe bone broth protein powder. I could use some collagen and all the amino acids. Thank you above commenter. You’re only supposed to put egg mask in your hair once a month due to the protein content. For me, it worked significantly the first time I used it. My hair grew a centimeter in just 3 days. Now it still shows results, but not a significant. Have you considered seeing a naturopath? They may be able to help determine if there’s an underlying cause like hypothryoid etc. I woul honestly change the blonde first and foremost. U need to put pigment back into your hair first. Then try the masks to encourage the moisturizing and nuetralizing your hair oils. I have the same problem with my hair. After yess of bleaching and colouring. I have been using Ayumi hair growth oil and it works a treat. Do we put the mask onto wet or dry hair? Great question. I put it on my hair when it’s dry. I was told that leaving masks in your hair overnight rather than just an hour and a half does no difference to the hair since it can only take it so much vitamins and protein at once. Why is your recommended amount overnight? The mixture can still penetrate your hair throughout the night. I notice a difference from just using it for 30 minutes vs as an overnight mask. Can I use bertoli Oliv oil on hair with this mask?